On our final day on the west coast we climbed Sgurr na Stri, about 500 metres on the south coast of Skye, to take some pictures of the Cuillen. Knowing it was going to be hot we started walking at 7.30am, and it was already over 20c. By the time we got back in the early afternoon it was over 30c. It is a nice hill and a lovely climb but it was not a great day for photographs. There was a heat haze everywhere and not a cloud in the sky. The pictures were inevitably a bit flat and fail to do the view its full justice. But a little bit of post-capture work produced the above image, which is serviceable if not stunning. It was a great end to a great week. Thank you, Colin. 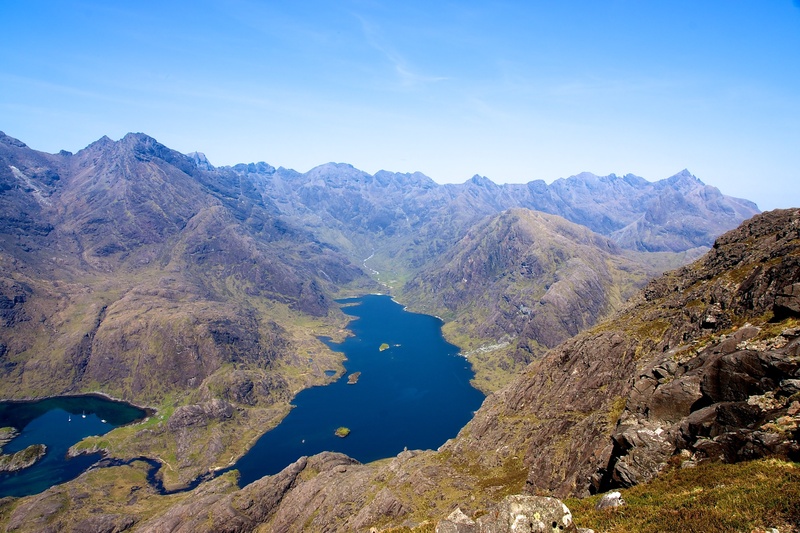 Posted in Photography, Scotland and tagged Cuillen, photography, Scotland, Sgurr na Stri, Skye. Bookmark the permalink.